Born in Deanston, Stirlingshire in 1898 Grierson has been described as the father of documentary filmmaking. In 1929 he directed the film Drifters, a stirring account of the British herring fishing industry, which laid the foundations for documentary filmmaking in Britain. In his role as head of the film units at the Empire Marketing Board and the General Post Office in the 1930s Grierson nurtured a generation of British filmmaking talent. In 1939 he moved to Canada where he became the first head of the National Film Board of Canada and is credited with playing an important role in the development of Canada's film industry. He also contributed to the development of Scottish film as a member of the Films of Scotland Committee. In the 1950s and 60s Grierson was a familiar face on Scottish television as the presenter of This Wonderful World, a programme which presented his selection of the best documentary films from around the world. Grierson died in 1972 in Bath, England, aged 73. The John Grierson Archive provides a comprehensive account of the career of one of the key figures in the history of documentary filmmaking. The Archive includes notebooks in which Grierson wrote drafts of correspondence, lectures and articles and planned various projects; correspondence with filmmakers, politicians and civil servants; scripts and production notes for films directed, produced and overseen by Grierson including Drifters (1929); notes for, and transcripts of, talks and lectures given by Grierson; articles written by Grierson on film and other subjects; drafts of proposed books written by Grierson on film, education and propaganda; press cuttings; papers relating to various organisations for which Grierson worked including the Empire Marketing Board, the GPO Film Unit, the Imperial Relations Trust, the National Film Board of Canada, Group 3 Film Company, UNESCO, the Association Internationale des Documentaristes; Films of Scotland Committee and Scottish Television. Photographs of Grierson and stills from his films. The Grierson Archive was catalogued in 1978 and a printed version of the detailed file-level list of the collection can be consulted in the archives reading room. A version of this catalogue, broken down into the 10 main sections of the collection, can also be accessed below. A card index providing item-level references to documents in the collection by name, subject and film title is also available for consultation in the archives reading room. An index to the c500 photographs in the collection can also be viewed in the archives reading room. Early life, university career, travels in America. GPO Film Unit; Imperial Relations Trust; setting up of the National Film Board of Canada. Imperial Relations Trust; National Film Board of Canada. Travel in North America and Europe; Unesco; Central Office of Information. Association Internationale des Documentaristes; McGill University, Montreal; Films of Scotland Committee. Scottish Television - This Wonderful World. Posthumous and general papers on John Grierson. Papers on other filmmakers and documentary in general. 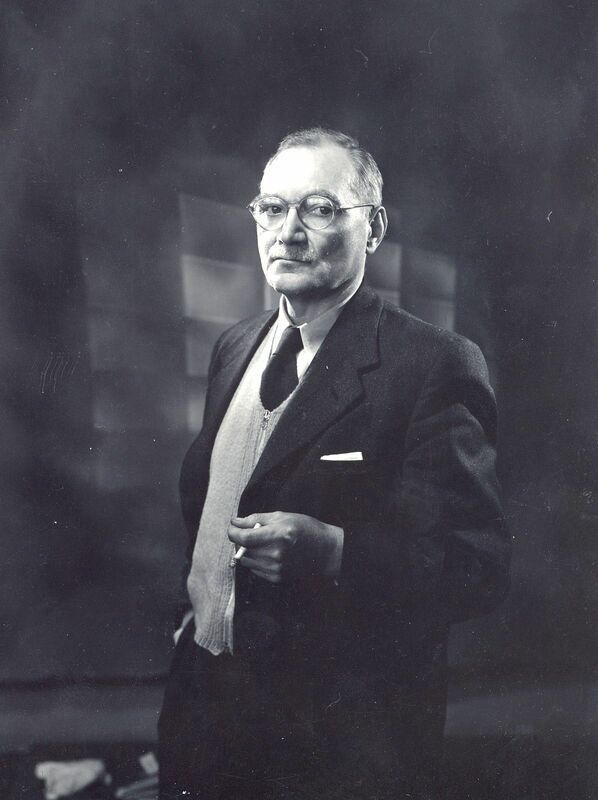 The John Grierson Archive was established in the University of Stirling through the generous donation by Mrs Margaret Grierson of all her late husband's papers and documents to the University and through similar donations from many other sources. The aim of the Archive is to collect and preserve, for information and study, all data relating to John Grierson's life and career. 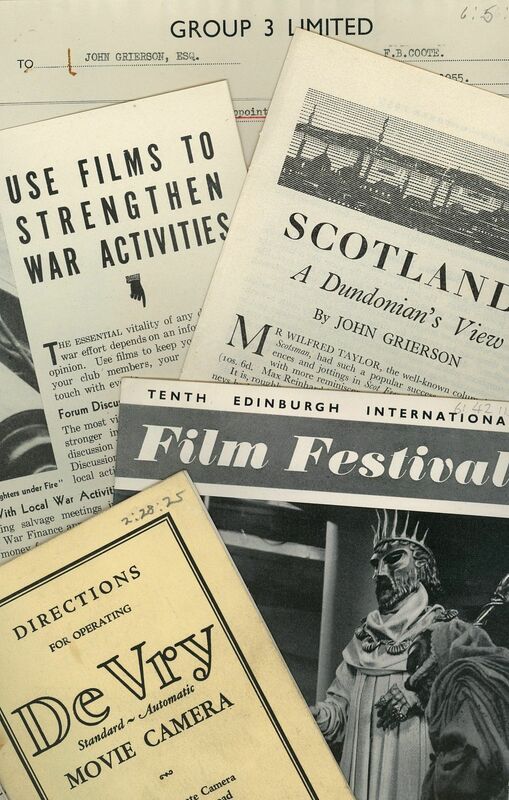 The Archive's collections are available for consultation by researchers and all those interested in the history of documentary film and mass communications. The University of Stirling Archives also holds collections relating to two of Grierson's colleagues - the filmmaker Norman McLaren and Grierson's biographer Forsyth Hardy. A large collection of papers relating to Grierson's time in Canada is held at McGill University, Montreal. Grierson, John, The Eyes of Democracy, University of Stirling, 1990. Hardy, Forsyth, John Grierson: A Documentary Biography, London, 1979. Hardy, Forsyth, (ed.) Grierson on Documentary, London, 1979. Hardy, Forsyth, (ed.) John Grierson's Scotland, Edinburgh, 1979. Organisation which commemorates Grierson and his work as a pioneering documentary filmmaker and celebrates the work of contemporary filmmakers through the annual British Documentary Awards. British Film Institute educational website with useful information on Grierson and the history of British documentary filmmaking. Extracts from Grierson's films are also available to view online. Canadian University where Grierson taught in 1970-71. Holds large collection of Grierson related material. Link to page containing catalogue of Grierson collection.